Geek girl Elle Wittimer lives and breathes Starfield, the classic science-fiction series she grew up watching with her late father. So when she sees a cosplay contest for a new Starfield movie, she has to enter. The prize? An invitation to the ExcelsiCon Cosplay Ball and a meet-and-greet with the actor slated to play Federation Prince Carmindor in the reboot. 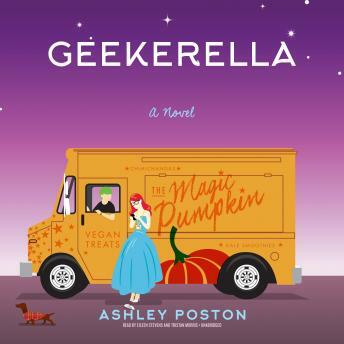 With savings from her gig at the Magic Pumpkin food truck and her dad's old costume, Elle's determined to win-unless her stepsisters get there first. Teen actor Darien Freeman used to live for cons-before he was famous. Now they're nothing but autographs and awkward meet-and-greets. Playing Carmindor is all he has ever wanted, but Starfield fandom has written him off as just another dumb heartthrob. As ExcelsiCon draws near, Darien feels more and more like a fake-until he meets a girl who shows him otherwise. But when she disappears at midnight, will he ever be able to find her again? A Publishers Weekly Pick for Buzz Books of 2017. A BookRiot Pick. A Seventeen Magazine Pick of Life-Changing Books of Summer. Finalist for the Goodreads Choice Awards for Best YA Fiction. A Kids' Indie Next List selection.